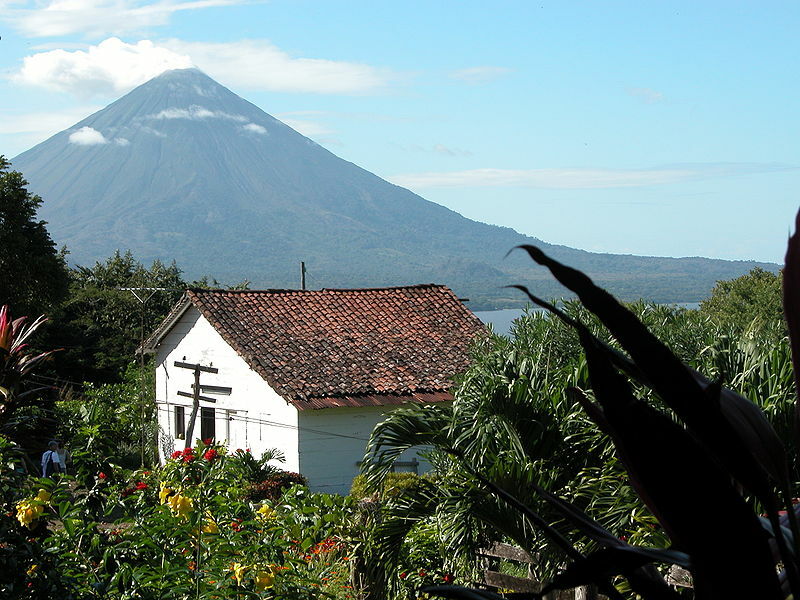 Isla de Ometepe, also known as Ometepe Island, is a 107-square-mile island located within massive Lake Nicaragua. 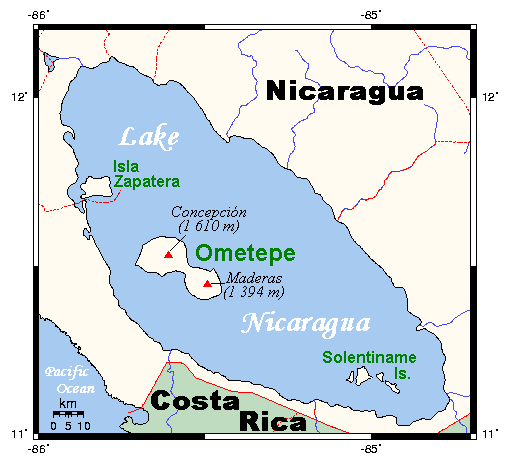 Ometepe actually consists of two circular islands connected by an isthmus, which gives it the unique dumb-bell shape. Dominating the skyline are not one but two gigantic volcanoes: the 5,577-foot (and growing) active Volcán Concepción and the 4,573-foot ragged and dormant Volcán Maderas. 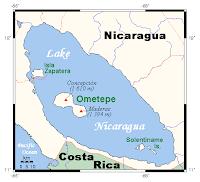 The origin of the name "Ometepe" comes from the indigenous Náhuatl language meaning two (ome) peaks (tepetl) or "the place of two hills." Its original Náhuatl-speaking inhabitants arrived on the island after an earlier prediction told them to search out an "island paradise that consisted of two peaks." They certainly found it. But even before their arrival, the island served as a fertile and safe haven inhabited by a number of tribes and cultures. Traces of this past can be seen in the more than 2,000 petroglyphs (and counting) scattered throughout the island. The stone carvings range in age from 800 to 2,000 years old with some relics dating back to around 300 B.C. Today, this island oasis seems virtually untouched by the modern world, which makes it incredibly special. Its two main towns include the busy Moyogalpa (where the ferries arrive from the mainland) and the sleepy Altagracia. In both of these towns, there are hotels and plenty of activities but the tourist infrastructure is still in its early stage so plan accordingly. But with its tropical forests, ancient stone carvings, organic farms, and rustic amenities, Isla de Ometepe offers visitors plenty to see and do. 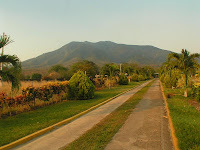 Volcán Concepción – The majority of guided tours and hikes to this spectacular volcano begins in either Moyogalpa or Altagracia. But Moyogalpa serves as the best base camp for the 8- to 10-hour climb. Be prepared because the hike has a high degree of difficulty and it becomes dangerously steep especially toward the summit. It is important to leave early in the morning and have high-quality hiking shoes, plenty of water and snacks. The need for water cannot be stressed enough. There are three main hiking trails to the top: La Concha, the popular La Flor, and La Sabana (based in Altagracia). The Sabana trail in particular can be incredibly difficult due to the lack of tree cover. There have been many cases of heat exhaustion on this trail alone. The ascent for all three trails travels through several banana and coffee plantations with many breathtaking (both physical and visual) stops along the way. At the summit, the high-altitude cold air combines with the volcanic hot air to create an incredible sensation of quickly shifting temperatures. For the lucky few (since there is usually a halo of cloud cover), the summit offers a 360-degree view that is unforgettable. 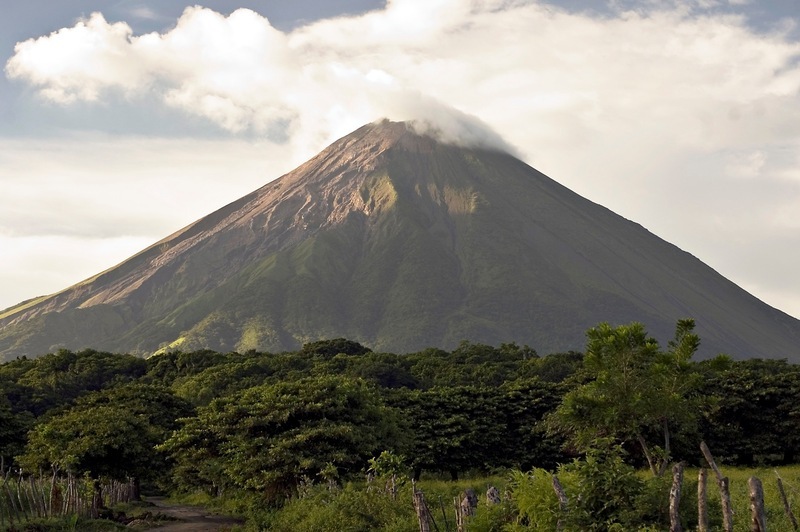 Volcán Maderas - This volcano is located on the southern portion of the island and it offers less of a "summit" compared to its counterpart but more in the way of lush tropical landscapes and rainforests filled with wildlife. The climb takes up to eight hours but it can take much longer in the rainy season due to the damp and muddy conditions. But the reward is a spectacular jade-green lagoon located near the top that you can actually take a refreshing (but frigid) swim in. There are three main trails to the lagoon: Finca Magdelena and two longer trails that begin at the Hacienda Mérida and Finca El Porvenir. Again, do not be mislead by the volcano’s accessible appearance, make sure to hire a guide. For those interested in history, there are more than 2,000 petroglyphs that have been discovered with the majority of these ancient treasures located on the southern half of the island. Due to the number of carvings, there are a variety of ways to view them. Museo de Ometepe – Located near the parque central in the town of Altagracia, there are several carvings along with other pre-Columbian sculptures and pottery. 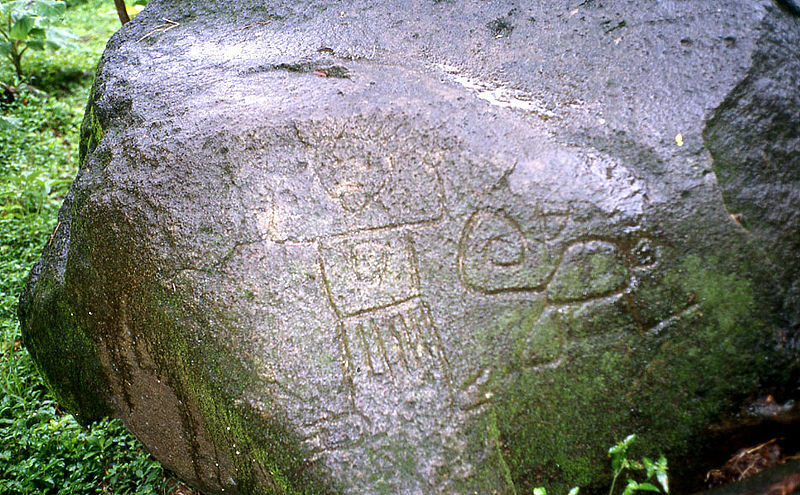 Finca El Porvenir – On one of the longer hiking trails to the Volcán Maderas, there is an area that includes approximately 20 petroglyphs. Although there are plenty of secluded beach areas, one of the best swimming beaches is the Playa Santo Domingo. Located on the eastern side of the narrow isthmus that connects the two islands, you will find many locals as well as exhausted climbers ready to share their stories with you. It offers a fitting end to a wonderful and special location. For information about getting to Isla de Ometepe, check out my post: Ferry Travel to Isla de Ometepe. This is an excellent example of quality blog content. It’s well-written, interesting, intelligible and uncomplicated. If I were a writer, this is how I would write this content. You have a lot of writing talent.